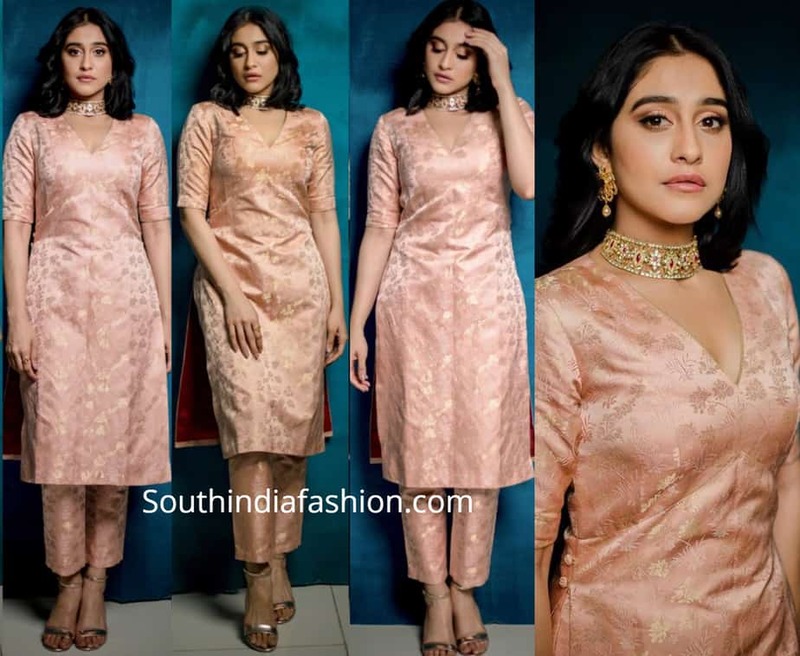 Regina Cassandra attended the Times Food Awards 2019 wearing a peach brocade kurta with matching cigarette pants by Raw Mango. She accessorized her look with polki choker and earrings by Amrapali Jewels and golden ankle strap heels! 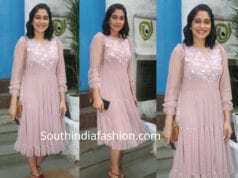 Regina Cassandra’s Indo-western saree look!